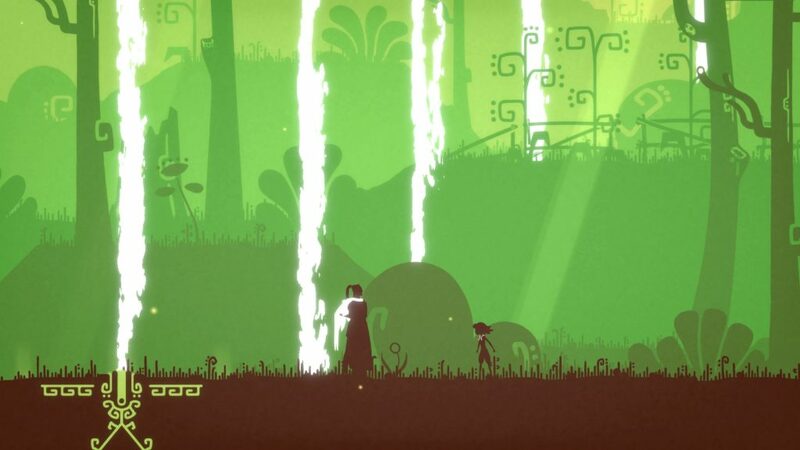 From Serenity Forge comes The King’s Bird, one of those tricky platformers that times how long you take to complete levels like Super Meat Boy or Shio. 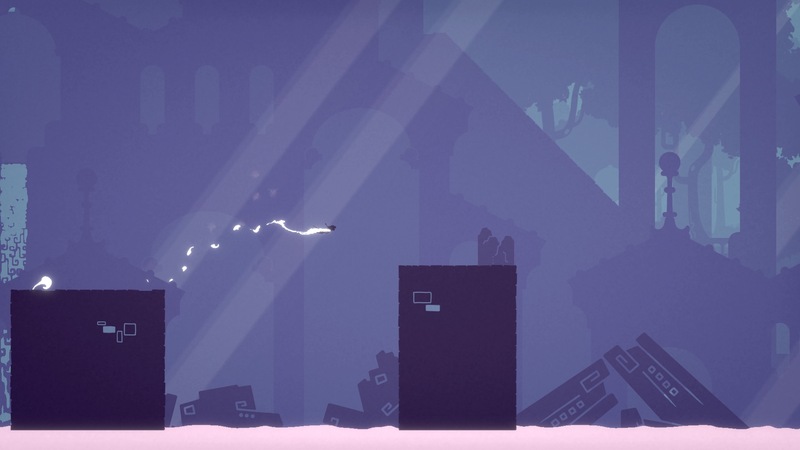 It’s maybe not quite as difficult as those games but it does ask you to learn a new skill: flight. There is some text at the beginning and end of the game, but generally the entire plot is divulged through character actions and the odd noise. You play as a small girl whose entire town is within a cage of light. You quickly gain powers and with them you can leave the cage and also fly, much to the dismay of an elder figure. Here’s where your adventure starts as you reach a hub world, which splits into smaller areas, each with four levels. Completion of these levels will unlock other areas, completing enough will finally open the exit to allow you to move onto another hub area. Within each level will be obstacles for you to overcome with your unique abilities. Obviously things start off slowly before really testing your skills by the end. Flying is maybe not the correct term to use, as you require momentum to gain distance and height so gliding would probably be closer to the truth. Running on the ground is super slow, but you have a short dash to create some instant speed, a wall jump to gain height and the ability to slide along ceilings. Each of these things (as well as just falling from a great height) will generate the momentum needed to fly. If you glide sideways you’ll slowly lose height before running out of power and falling, probably to your death. If you have the space you can dive down before looping back up, allowing you to cover distance and maintain your height, but again your power is limited use so you’ll want to touch a surface to prolong your time in the air. You never gain any new abilities, the game just spends the entirety teaching you different scenarios and it’s up to you to figure out what combination of abilities will get you through. That and nigh on exact execution. Although I said it wasn’t as difficult as the two games I mentioned earlier The King’s Bird is still going to kill you over and over again. The main difference is that the checkpoints are quite generous. You generally don’t have to do too many things before you’ve hit one and are safe to die without losing progress again. I imagine my death count was very high by the end of the game but as you’ve only got to complete little chunks at a time you rarely get stuck for too long. The obstacles get tougher but unlike the previously mentioned games new ones aren’t introduced. 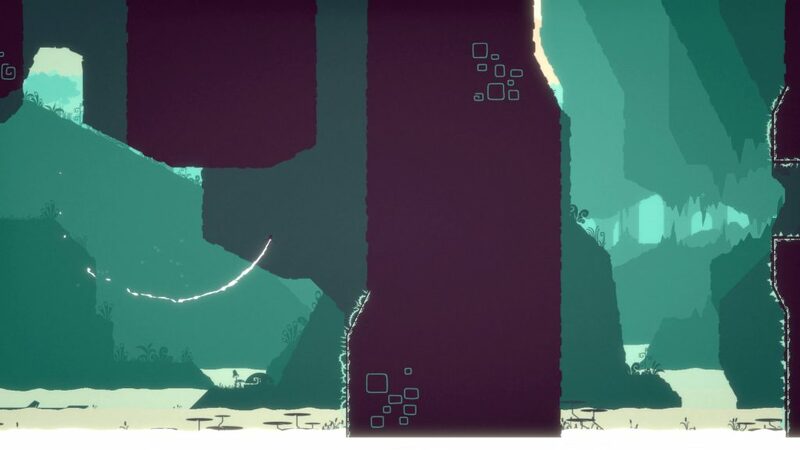 It’s a testament to the level design that they don’t become boring as there are never any enemies or moving hazards, the gaps you fly through just get smaller with less safe walls and floors to touch. Some levels take away your power of flight forcing you to make use of your basic traversal abilities whilst still requiring you to maintain a good speed which were fun, if a little easier than the flying ones. Within the levels are birds which you’re tasked with collecting. I don’t believe they have any use other than for trophies but they’re not hidden and mostly act as a decent guide as to where to go next. I will say that sometimes they were difficult to see, being pale white, slightly transparent as well it seems, often on quite bright backgrounds. Speaking of which the visuals are very striking. Each level will have a dominant colour and the foreground and multiple background layers will be made up of solid blocks of different shades of that colour. Your character is solid black but well silhouetted to see her actions and your flight power is shown as a white scarf, which will fade and then disappear when you push yourself too hard. It looks great without ever being breathtaking. The whole package is helped by the music which is excellent across the board, sometimes giving off a JRPG vibe. And I love my JRPGs. As much as I enjoyed my jaunt through The King’s Bird it’s not perfect. The flight controls aren’t exact so there were times when what was happening on screen was not what I wanted at all. Similarly flying whilst the camera moves around makes things quite difficult to follow, so squeezing through a tiny gap can be harder than it already is. I was also incredibly disappointed in the one boss fight in the game. I did it twice (there are two endings) and the second time took me longer than the first, even though I didn’t know what to do first time. It just felt messy and random to the point where I’m glad there was only one boss fight. There are also a couple of things that I would of appreciated as a player. A map in the hub worlds would have been nice, allowing me to see which levels I’d finished already and where I should head next. Some minor camera control to look ahead to see what obstacles or collectibles were coming up would also have been welcome. Overall though I found The King’s Bird to be very enjoyable. 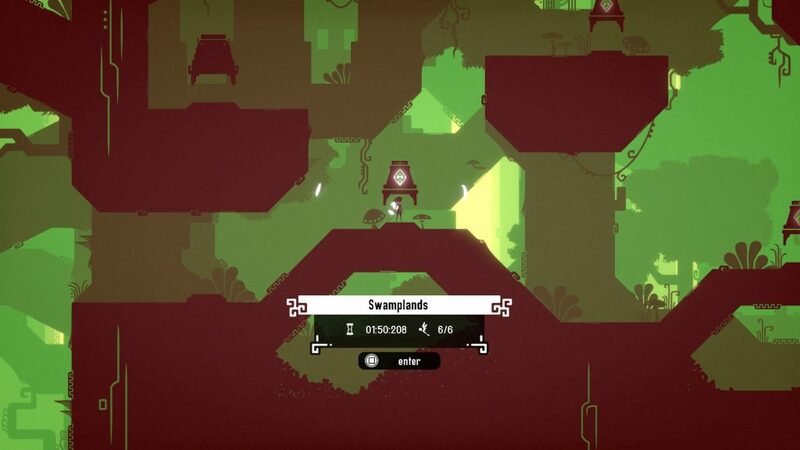 It’s tough, so if you shy away from this type of game normally then be warned, but it’s also slightly more forgiving than its contemporaries. When you succeed at flying it feels fantastic and missing the target only to adjust your flight path and save it is superb. The visual and audio presentation is the cherry on top of a flight certainly worth taking. The King's Bird is another challenging platformer but the ability to fly adds a twist that makes it stand out from other games in the genre. The presentation is superb and although tough, the difficulty curve is pitched well for those willing to learn how to master its mechanics.